Many of us are aware of the small tree that Charlie Brown picks out in the Peanuts Holiday special. If not, ask someone in the office or at school. It is a cool little tree with a big history for some, and some say a lesson on holiday spirit. Another tree with a rich history is the one that sits on the White House lawn. The tradition started in the 1960&apos;s and still grows strong today. 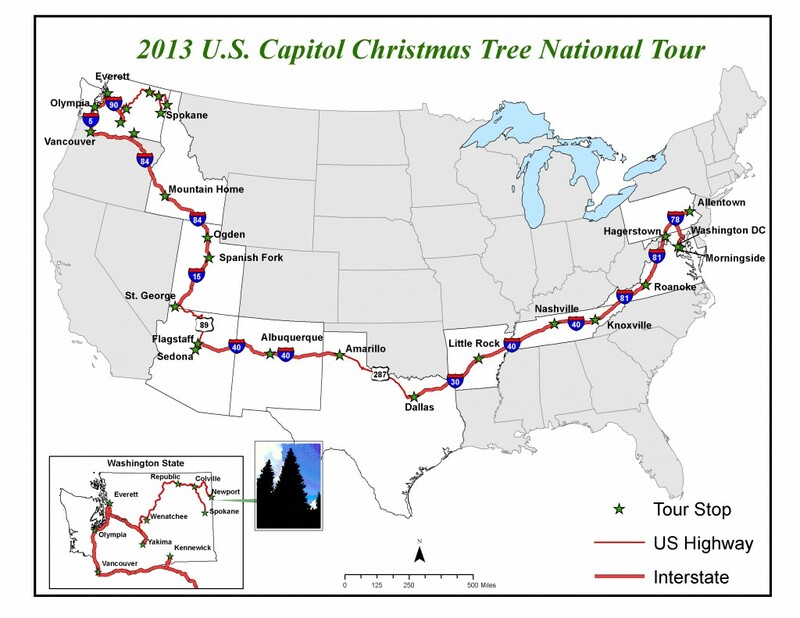 This year the Capitol Christmas tree is making it’s way across the United States from Washington State. The tree had a ceremonial cutting and down came the 88 foot tall Engelmann Spruce. It was then put on it’s own truck and headed East to visit more than cities 25. Two very large cranes are working together to level, and align the Capitol Christmas Tree so the custom made trailer can be backed in. The tree will then be readied to travel to Newport, WA. This Mack is specially painted just for the 2013 Capital Christmas Tree! Lucky for us the tree that will adorn the White House lawn will be making a stop in Knoxville Thursday. They will be on Neyland Drive from Noon until 2:00 pm. By looking at the tree&apos;s Facebook page it has received a warm welcome everywhere it has gone. 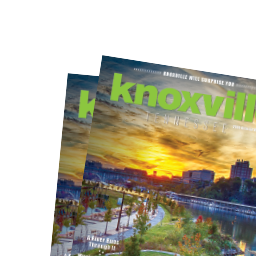 So Knoxville it is time to put on our Southern Charm and get out there and show these folks from the Northwest our hospitality. Did I mention there will be hot chocolate and that the banner on the truck that can be signed? Grab your friends and if you happen to have a mariachi band handy bring them along too! Let have some Holiday fun Knoxville. 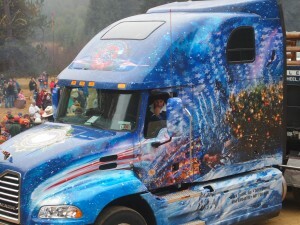 What: Capitol Christmas Tree Tour Stop When: Noon-2 p.m. Thursday, Nov. 21st Where: Eastbound lanes of Neyland Drive, near Calhoun’s on the River Who: The Capitol Christmas Tree will stop in Knoxville en route from Washington State to the lawn of the U.S. Capitol Building. 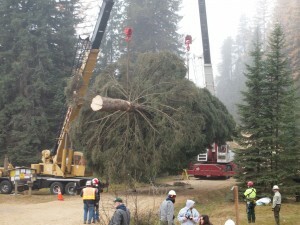 The 88-foot-tall Engelmann Spruce was harvested in Colville National Forest in northeast Washington State on Nov. 1st. The Knoxville visit is being sponsored by Pilot Flying J and the City of Knoxville. 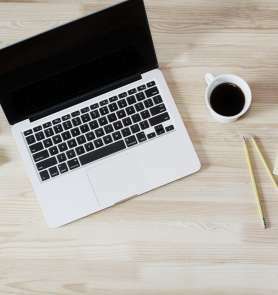 Free hot chocolate will be provided courtesy of B&W Y-12, LLC.